I have to admit that I don’t often make the really big sizes – and these are the biggest I have ever made. 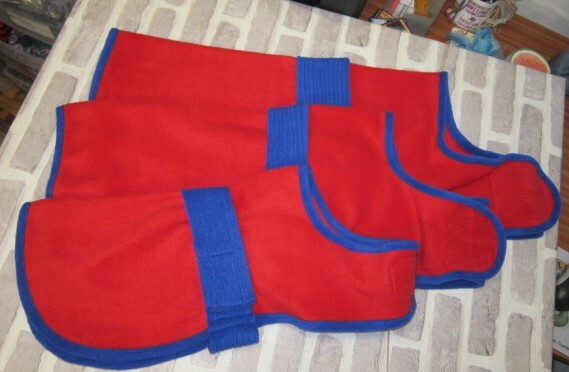 The customer wanted 3 coats – all the same – made to her dogs measurements. The largest has a back length of 27″ – they are as big as my back board! This is gonna cost me!!! !